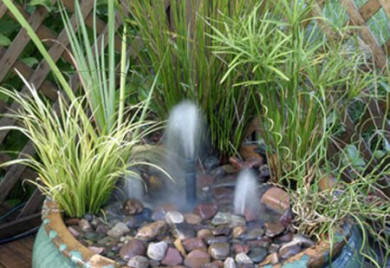 Big ideas in little spaces: Water gardening in a small area. Maybe a whiskey barrel fountain or a large urn garden is what you are looking for. Pond Talk.